This friendly and effective park “umbrella group” is dedicated to finding common ground for positive change in San Francisco’s John McLaren Park. The Collaborative’s mission is to fully engage park neighbors, advocates and agencies in the park’s improvement and promotion, and to act as a clearinghouse for park information and activities. The Collaborative meets more or less monthly. For more information visit the Facebook page or Google Group, and explore the rest of this website. 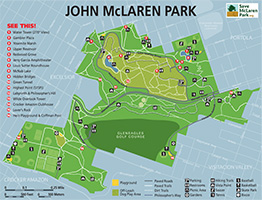 The McLaren Park Collaborative was formed by several forward-thinking community leaders in early 2010 as a forum and support network to help the park’s neighbors and park groups discuss and resolve various issues. “The Collab”, as it is sometimes called, is informally consensus-based and welcomes anyone interested in the park, group-affiliated or not. HMP’s general focus has been improving infrastructure in the park, like playgrounds, irrigation systems, park entrances, and so on. This energetic group of park neighbors, led by the energetic and devoted husband-wife team Chuck and Trilce Farrugia, has pulled in several sizable grants and donations over the years. HMP’s webpage is here. HMP holds popular pancake breakfast fundraisers at the Sutter Roundhouse, and are largely responsible for a new playground now under construction near McLaren’s Peru St. entrance, as well as the recently refurbished Gambier park entrance. HMP also sponsors work parties with RPD Natural Areas staff at Yosemite Marsh every other month. SMP is a park stewardship group whose main mission is to understand and protect the wildlife and habitat in the park. Volunteers organize nature walks, work parties, picnics, and other fun and educational activities. Most recently, SMP and Nerds For Nature hosted a smartphone-enabled bioblitz in the park, where we documented about 250 species throughout McLaren in only 3 hours, with 43 observers of varying skills and knowledge. 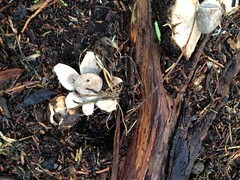 SMP is also hosting a series of photography walks in the park in cooperation with RecPark’s Harvey Milk Photo Center. Although SMP’s focus is on the park’s less developed natural areas, SMP also supports general improvement of the park in various ways, such as developing the “community alternative” for the Mansell Corridor Improvement Project. This “one-sided traffic” design proposal would reroute all auto traffic onto one side of the existing median, with foot traffic on the other roadbed. 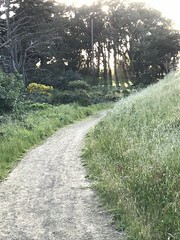 It was recently selected by the SFMTA through community process as the preferred option for new pedestrian/bike lanes through the park and will provide many improved connections to existing trails and attractions. SMP is an informal group, there is no formal membership but we have a Coordinating Committee of about a dozen volunteers who meet frequently on-line and in-person. We also send out an email newsletter every few weeks with news and park event info. You can sign up for the newsletter, as well as learn more about SMP by going to the website. In 2003, five friends and neighbors decided that there needed to be a neighborhood organization that focused on “what was right” with our community and to celebrate the wonderful facilities and recreational and cultural opportunities in our own backyard. FACE was formed to be a booster club for our community…. (Focusing on The Excelsior, Crocker Amazon, the Outer Mission and the greater District 11 area). We are governed by an eleven-member steering committee, elected yearly at a meeting / dinner open to all members. The steering committee meets several times a year to discuss projects and decide on the events we will be actively involved in. The club was formed around the idea of promoting fun projects that would bring positive attention to the neighborhood, to celebrate the history, the natural beauty, the cultural diversity and the hidden treasures all around us. 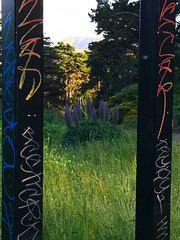 The McLaren Park Collaborative supports and is supported by San Francisco’s primary citizen/government partnership for parks and open space.